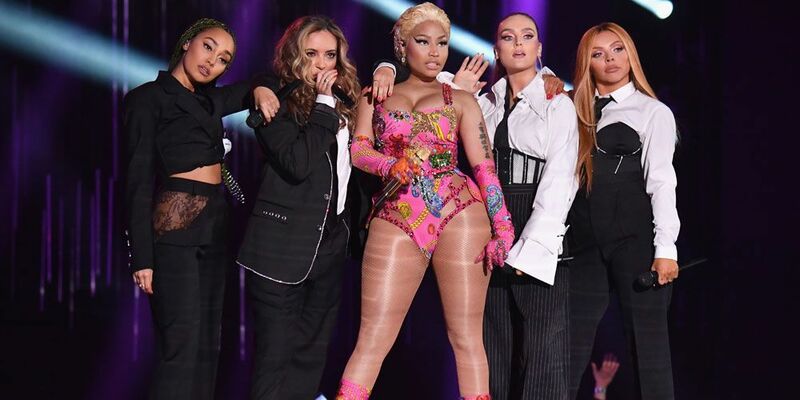 Little Mix’s fifth studio album, LM5, shows the group’s growth, both personally and vocally. Jade, Jesy, Leigh-Anne and Perrie bring us an empowering album where they open up about insecurities, self-love and supporting friends. The album is full of good vibes, new sounds and great features including the queen herself, Nicki Minaj. Each girl shines on this album. Little Mix is not a girl group with one lead singer who gets all the attention. The girls are more expressive and have more fun with their vocals than they have before, especially on “Joan of Arc” when Jade sings, “Make way for the G-O, double d, E-S-S / I spare no enemies in this dress.” The girls switch off singing empowering lines like, “I put my own rock on my hand” and "Fan of myself, I'm stanning myself." “Strip” is the ultimate body-positive anthem we’ve been waiting for. The title makes it seem like a sexual song, but it defies expectations. Instead, it’s an anthem about feeling beautiful without makeup and loving your body no matter the size. The song doesn’t shame any sort of body, which songs by other artists have been guilty of doing in the past... *cough cough* "All About That Bass." Little Mix celebrates everyone, whether you have "A-cups" or big butts. 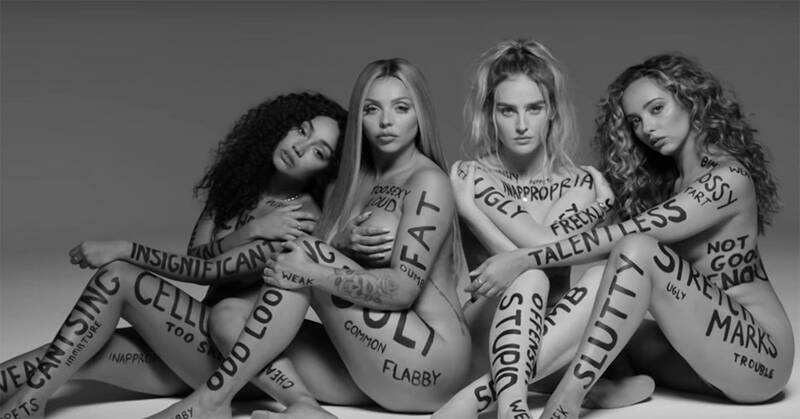 Everyone can appreciate when the girls sing, “Jiggle all this weight, yeah, you know I love all of this.” Especially given Jesy’s past insecurity about her body, this song means a lot and shows the progress Jesy and the other girls have made in accepting themselves. Another standout track is “Told You So,” the song you should listen to when your friend is crying and eating Ben & Jerry’s after a breakup. It’s a comforting song about supporting your girls. Little Mix alternates lines at the end almost like they’re singing the song to each other, which is the sweetest thing ever. “Think About Us” gives off those sad vibes reminiscent of Robyn's “Dancing On My Own,” yet still somehow manages to make you want to dance. Another heartbreaking track is “Notice,” about insecurity in a relationship when your partner stops caring. If there was another Fifty Shades movie, “Notice” would belong on that soundtrack with its slow, sultry beat. One of LM5’s biggest strengths is that every song adds a different sound and new story to the album, even if it takes deeper analysis to realize that. By the title of “American Boy,” it seems like a cheesy filler song. It starts as the least lyrically interesting track on the album, with lines like, “Ooh la la, he breaks my heart” and “I met him back when I was out in California.” This one is easy to dismiss at first, but the song actually has a deeper meaning about having a boyfriend who’s still in love with “the one that got away.” Plus, the song is a bop and should start being played on beaches everywhere. The non-deluxe version of LM5 ends with “The Cure,” which perfectly sums up the journey of personal growth, which was evident over the course of the album and probably throughout Little Mix's seven years as a group. Jade sings, “This happiness was always inside me, But Lord it took a minute to find me.” The final song shows that everything they needed was already within them; they always had the cure for their problems, and these girls are stronger than ever.